Thank you for visiting us here at CopywritingCertificate.com. 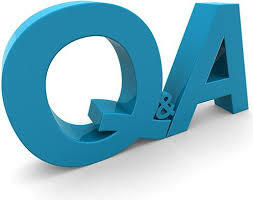 If you can’t find an answer to your questions below please try our click to chat service, email us at Team@BusinessTraining.com or call us at (305) 503-9050. Registration for the Certified Copywriting Specialist program is open on a rolling basis, allowing you to join and begin our certification program at any time. You can complete the program in 1-2 months or over 12+ months, studying just 45 minutes a week, or 8 hours a week. Since our program is based on required readings, a study guide, and video modules, it can be completed at your own pace and on your own schedule. The only set dates in our program are our examination dates. Our exams are held monthly on the first Wednesday of every month. No custom examination dates are offered. We do not and cannot allow any exceptions to this due to the volume of email inquiries and participants we work with. Once registered for the program, you will complete the course project (further explained in the study guide). After completing the program project and submitting it for grading, you will be able to choose your exam date from the twelve offered each year. Please send in the completed project and notify us of your exam date at least 2 weeks before the scheduled date. When are the tests for the Certified Copywriting Specialist? Our exams are held monthly on the first Wednesday of every month. No custom examination dates are offered. We do not and cannot allow any exceptions to this due to the volume of email inquiries and participants we work with. Once registered for our program, you will complete the course project (further explained the study guide). After completing the program project and submitting it for grading, you will be able to choose your exam date from the twelve offered each year. The Certified Copywriting Specialist program is 100% online and self-study, meaning you get to set your own schedule. We recommend ~100 hours of studying to prepare for an exam, but that can vary greatly depending on your past expertise and how you prepare. There are no deadlines to completing the program, and you can take as long as you need. Registration for the program costs a flat fee of $999. There are no technology fees, testing fees, testing center fees, travel costs, or study aides to purchase. Tuition covers access to all online materials, the examination cost, grading fee, and the certificate when you pass. The only fees not included, as with most classes, is that of the text books. All of the books required for the program can be found at Amazon.com, Barnes & Noble, Chapters, etc. 1) Add the Certified Copywriting Specialist (CSS) section to your resume, showing tangible evidence of your dedication and education in the Copywriting industry, helping set you apart from others with your same level of more generic education. 2) Quickly gain specialized knowledge in the Copywriting space. Our program is offered 100% online. Examinations are held on the 1st Wednesday of each month, giving you 12 options each year to complete your required examination(s). There are no testing centers, and no set time that you need to take your exam on the date of your examination, but you will only have 2 hours to complete the online test. You will be timed through our testing software online, and you will only be allowed to login once. Be sure you’re ready to begin your exam before you login! You will also need a stable Internet connection. If you passed, you will be sent our official certificate in the mail, so please be sure to confirm your mailing address when you receive your grade. If you fail, you are welcome to re-take the exam for $127. You can register to re-take the exam with us over the phone, with our form here, or by email at Team@BusinessTraining.com. Why should I consider hiring someone who has completed the Certified Copywriting Specialist program? If you would like to apply for a needs-based scholarship discount please submit our scholarship application. What will I be able to add to my resume after completing this program? What tangible benefit will I receive from the Certified Copywriting Specialist program? In terms of positioning my knowledge and skills against others competing for similar jobs, how can this certification help? Participants who complete our program and pass our challenging examination should be able to add a new entry to their resume or online business profile along with three bullet points which describe the new tactics, abilities, and strategies the participant has picked up within the program. Please login to CopywritingCertificate.com after you have registered to view suggestions on what may be added to your resume once you have completed the specific program you have signed up for. I live outside of the United States; can I still earn one of the Certified Copywriting Specialist certificates? Yes, anyone who has failed our program may take it a second or third time. Also if you miss your examination date this is considered a failing grade as well. If you miss your scheduled exam date or fail the exam there is a $127 fee to re-take the exam, complete this form by clicking here. Yes, you may receive a full refund if you decide not to complete the program. We provide a 100% no questions asked refund within the first 7 weeks regardless of the reason. 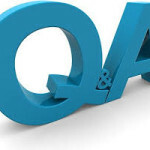 This allows you to evaluate our study guide, required readings, and the industry tools and educational video content provided to you within CopywritingCertificate.com. To cancel your registration, please send us your request via email to Team@BusinessTraining.com. Please be sure to let us know if you need to move your scheduled exam at least 2 weeks before your scheduled exam. If you do not change your exam date at least 2 weeks before your scheduled examination and you miss your exam, you will be required to pay the $127 re-take fee. You can do that and complete the retake form here. This is the same fee paid by those who fail the exam, and to avoid this fee, please contact us in a timely manner. This policy had to be put in place as we now serve thousands of participants and alumni, this means last minute changes are no longer possible. Where can I buy the books that are required to study for the Certified Copywriting Specialist program you offer? First register for a program and then login to CopywritingCertificate.com to gain access to the resource hub for this program. There you find will the multimedia resources, list of required readings, study guide, and tips for completing that specific certification program. Right now, every one of the required books are available on websites such as Amazon.com, Half.com, and Borders.com, and if you are based within the United States most of these books may be obtained for free from your public library. 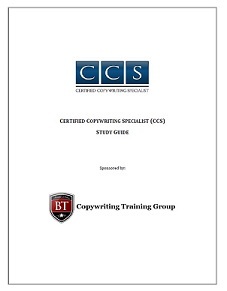 There are no prerequisites to join the Certified Copywriting Specialist program. Our program has been designed for experienced business professionals and students alike. As a student, you will gain critical knowledge needed to compete in this area business. Our team provides networking, resume construction, resume templates, and internship video advice resources. Starting your career with this knowledge base can save you years of job experimentation within various roles. As a Certified Copywriting Specialist certification holder, you have an advantage over others with the same degree. Employers seek those who have taken the initiative to gain additional knowledge relevant to their career. To ensure that everyone can register for our program, we offer a number of ways to pay for tuition. We accept web or fax-based credit card and debit card orders, payment by check, Western Union payments, or PayPal. You can also call our offices during normal business hours to register for our program over the phone. Please feel free to call our office at (305)503-9050 , Monday through Friday, from 9am-5pm EST. Content Tags: How can I complete an online copywriting certification program?, how does online copywriting training work?, how can I complete copywriting training online? Why complete online copywriting training? What is a copywriting certification program?